All Fiama Di wills shower gels come in a transparent bottle with a colour coded flip cap which shuts tight. 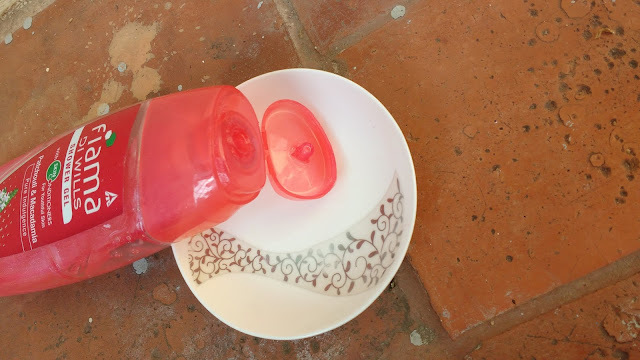 The transperent shower gel actually looks very colourful because the product inside is pink and the flip cap is also pink giving a very girly cuteness feel. The packaging is leakproof but the bottle is a bit too big to travel around with. Overall the beautiful pink bottle is packaged nicely and is easy to tempt girls into buying. This will definitely enhance the beeauty of bathroom shelf. Fiama Di Wills Patchouli and Macadamia Pure Indulgence Shower Gel is very moisturizing shower gel with a fruity floral kind of a scent. I have two to three shower gels on my bathroom shelf so I dont get bored of using the same body wash. Currently I am using two fiama di wills shower gels the lemongrass and jojoba variant and Patchouli and Macadamia but the scent of this variant I dont like much and tend to reach out more to lemongrass one. 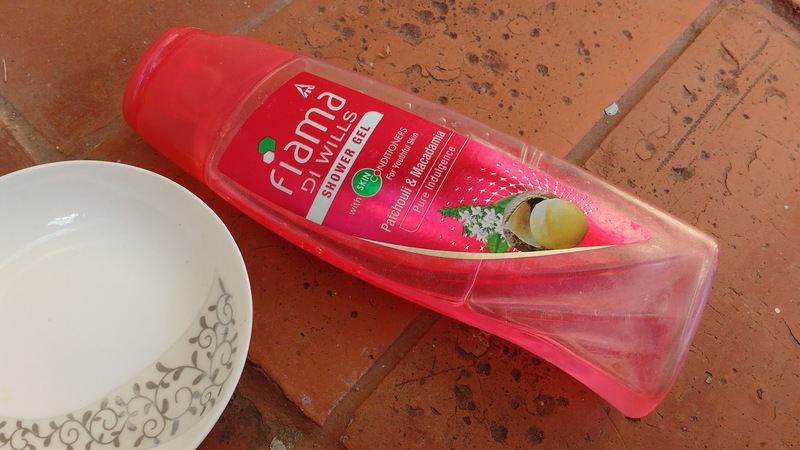 The consistency Fiama Di Wills Patchouli and Macadamia shower gel is a bit runny but it spreads easily on skin and lathers nicely. 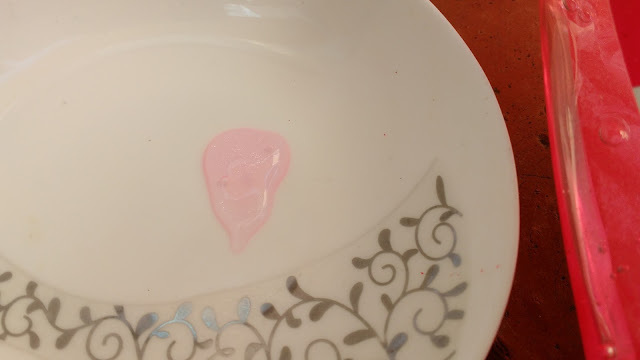 There are some very fine shimmer suspended in pink gel but it doesnt transfer to skin and this body wash also gets washed easily. The Fiama Di Wills Patchouli and Macadamia shower gel like its name is Pure Indulgence and it is is very moisturizing and leaves my skin super soft and smooth after a bath. The fruity smell doesnt last at all but I am left with a luxury clean feeling after a bath. 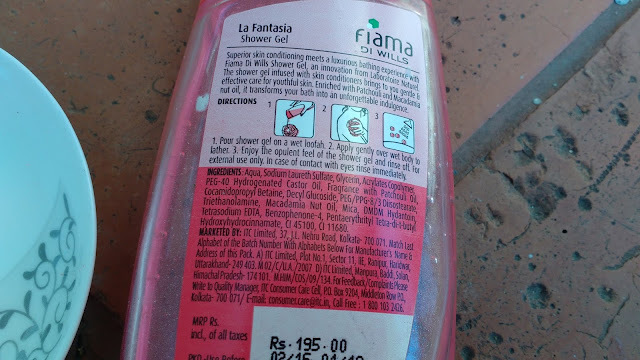 Fiama Di Wills Patchouli and Macadamia Pure Indulgence Shower Gel is a budget but but gives a luxury feeling. If you like fruity and floral scents this is a must try. This is a very girly sort of body wash in look and fragrance so it is best for men to keep away. I feel this will an amazing addition to a brides to be trousseau .